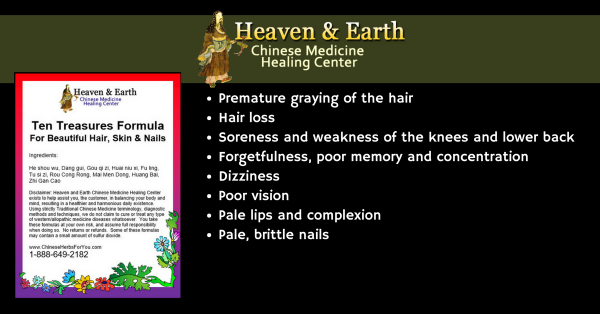 Chinese Herbal Medicine Methodology creates Chinese Medicine Patterns by connecting three or more daily disharmonies such as bullet-point list above. 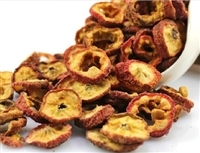 With this information, correct Chinese Herbal Formulas can then be chosen. The above listing of Daily Disharmonies can show in men, woman…and even children. 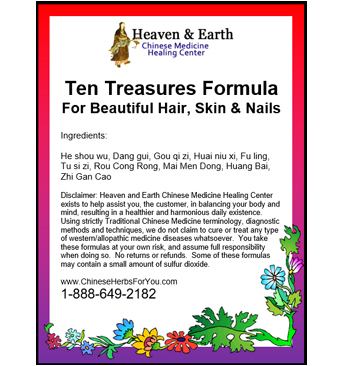 Ten Treasures For Hair, Skin & Nails Formula is appropriate for everyone! history of low blood pressure or anemia. 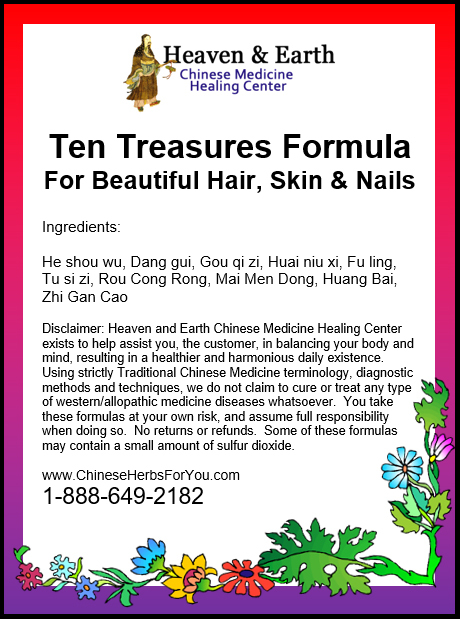 As you can see above, Chinese Herbal Formulas can be used for numerous, different Daily Disharmonies. By recognizing your personal, daily disharmonies you will begin to understand how Chinese Medicine Patterns are created. 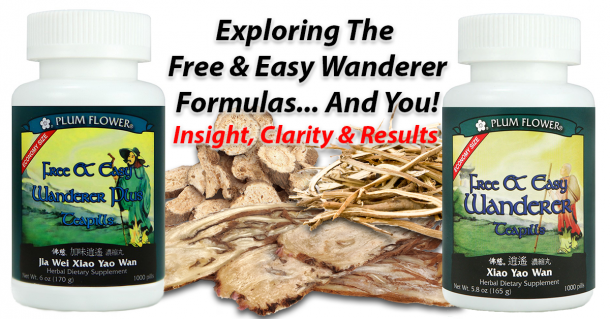 I wanted to let you know that the hair pills you make seem to stop the “thin, dry, itchy skin that bleeds thru easily” issue I was dealing with. That is not happening nearly as often. I think it is helping my gums also. Just my observations, but I don’t need a double blind study to know when I am feeling better.